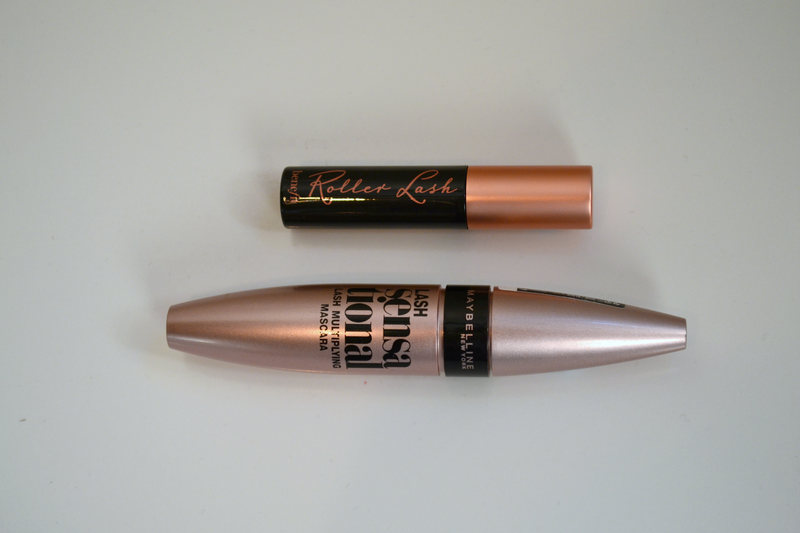 Girl Up North: Is Benefit Roller Lash Mascara Worth the Hype? So there's this massive hype around one of the newest releases from Benefit Cosmetics; Roller Lash Mascara. They're giving you the chance to try a sample size in this months Elle magazine so I had to go get one just to see what all the fuss was about. A couple of days previous I had bought the newest Maybelline mascara; Lash Sensational and I couldn't help but notice that the wands were very similar so I decided to put both mascaras to the test and see which came out on top; would it be high end or high street? As you can see, the wands are very similar in their shape and they both have plastic bristles much like the ones you see on the Benefit They're Real wand. I'm assuming that the wand is still the same size on the full sized version of Roller Lash but if it is slightly bigger it would make the two a very close match. Lash Sensational is slightly more curved and probably has more bristles whereas Roller Lash is a thinner, more rigid brush. Then there's the obvious difference between the two; the price. Lash Sensational retails at £7.99 (on special at £5.99 at the moment) and although Roller Lash hasn't been released yet I would imagine that it will retail at around £20, well over a tenner more than Maybelline which I for one don't mind paying if it's good enough to justify it but my opinion is why pay more for something that you can get cheaper? Anyway, onto the comparison between the two; instead of writing a few long paragraphs about each I'm going to show you the before and after photos and then do some pros and cons of each. 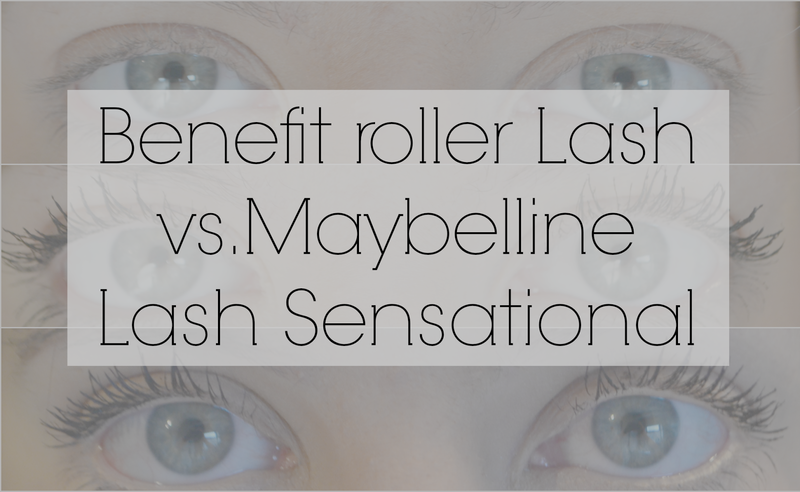 It's probably worth mentioning that Benefit Roller Lash is aimed more at giving your lashes a curl similar to that of a perm whereas Maybelline Lash Sensational claims to capture lashes you never thought you had to give you longer looking lashes. Out of the two claims I would personally be more drawn to the Maybelline mascara because I'm a little bit obsessed with having really, really long lashes. - Nice big spoolie which makes application a dream but not too big that it makes bottom lash application a pain. - Longer lashes without looking unnatural or spidery. I've spent the best part of an hour looking at each of the pictures of my lashes trying to weigh up which one I think looks best and the truth is I like both of them, I can't say that either of them looks bad. My lashes look loads longer and thicker than they do without mascara but I do think that on face value Roller Lash does make them look ever so slightly longer and obviously there's the curl aspect there. Application wise I much prefer the ease of Lash Sensational; it requires a lot less patience and I've never felt like my lashes have clumped up easily whereas I did get a bit frustrated with Roller Lash because I felt like they looked like they were clumping. If you've got the patience to work with Roller Lash you can get a really nice finish but if you're looking for something you can pop on in a rush then Lash Sensational would win hands down for me. 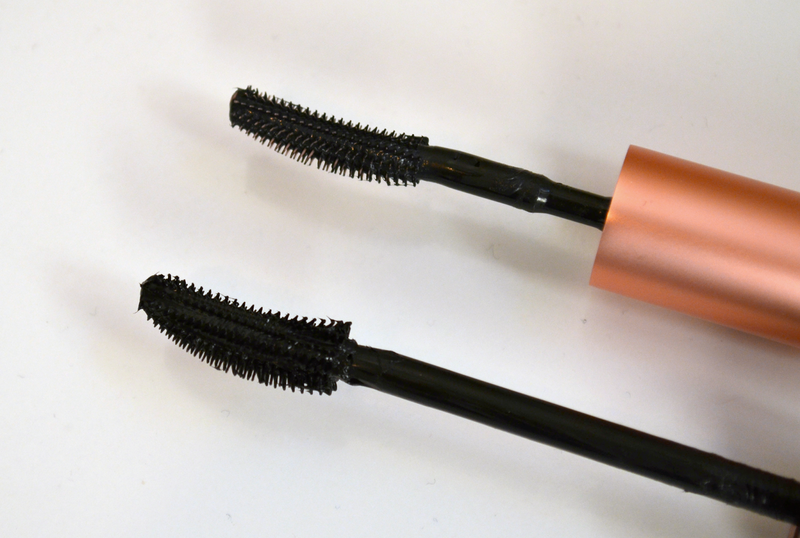 tl;dr - Yep, Roller Lash is good but Lash Sensational is also great for the money. I'd actually love to know which look you prefer on my lashes so please let me know!